Knee deep in Christmas flowers and foliage? Florists: Rise above the holly and the ivy and remember that you are the people that make Christmas festive, cosy and floral for millions across the country. 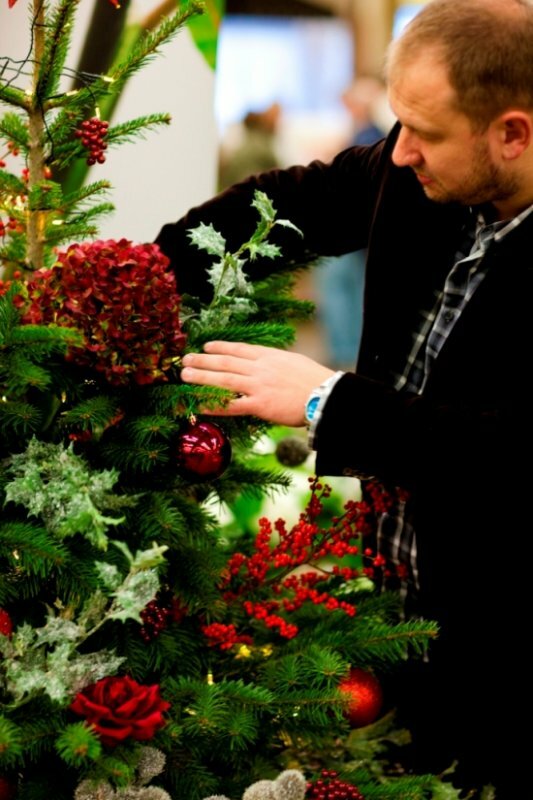 Florists, we salute you and wish you a very merry Christmas! 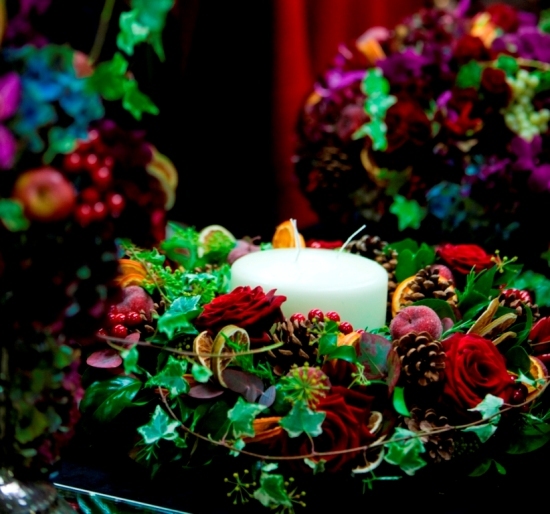 Here's a stunning sample of the exquisite Christmas design work created by our fab Flower Market Florists at New Covent Garden Market events in recent years. First up are two exquisite shallow bowl designs by Neill Strain. 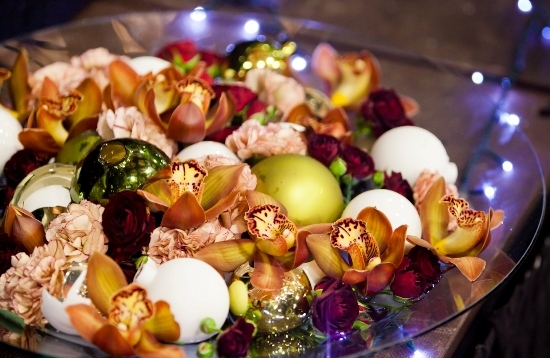 The rich colours of roses, orchids, carnations and baubles are Christmas with a decadent touch of glamour. 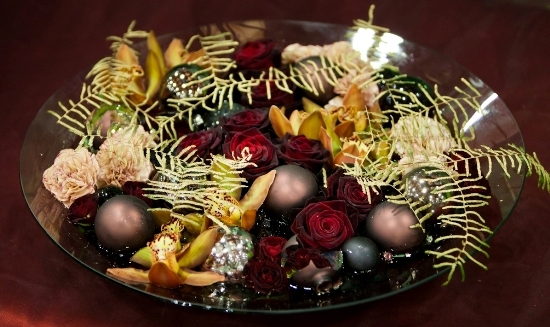 Amanda Austin of Kings Road created this luxurious Christmas table wreath. Trails of variegated ivy wrap around rich red roses, dried orange slices, pine cones, berries and traditional foliage from Foliage Row. How about this for a wrap? 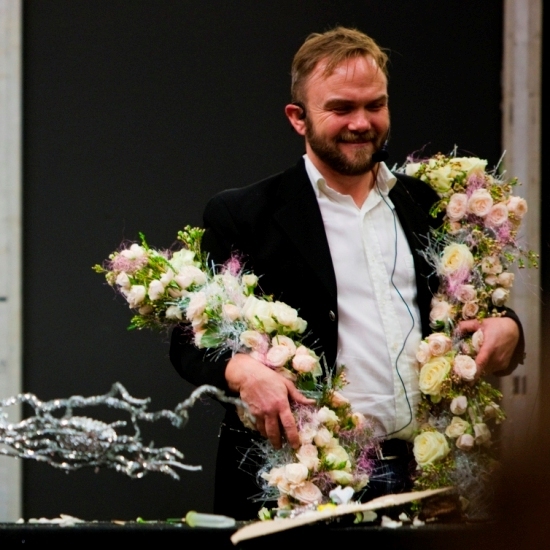 Jens Jakobsen created a magical garland of roses, wax fllowers and sparkling sundries akin to angle hair. Anyone for dinner? How about this for a White Christmas? 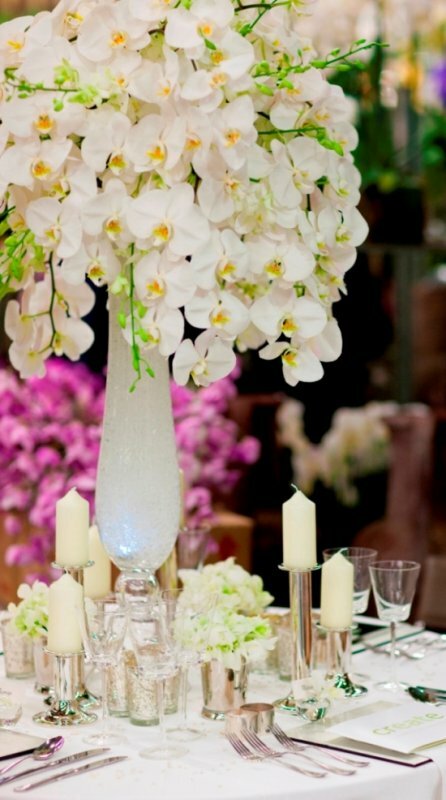 The purist's white phalaenopsis dinner table by Mary Jane Vaughan and a glittering white rose table by Wild About. 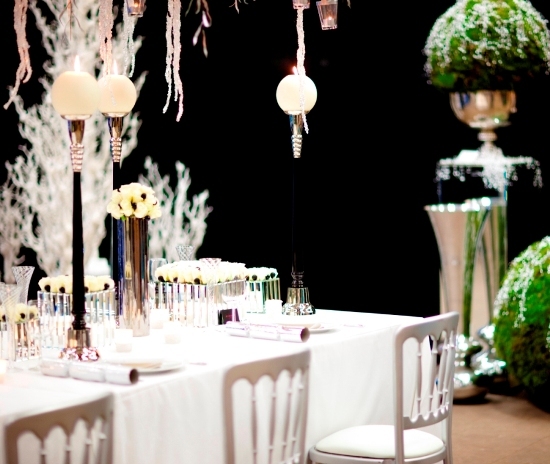 For wow-pazzazz factor, a Simon Lycett demo is hard to beat. 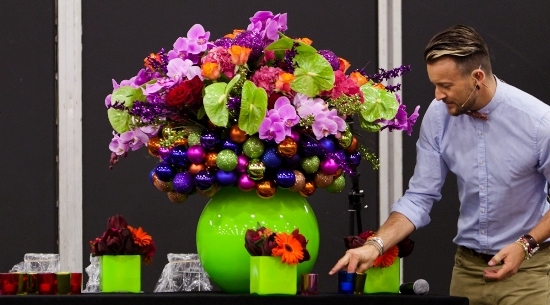 At one of our Flower Market demos, Simon went bauble-crazy with this vibrant design of orchids, roses, hydrangeas and anthuriums. 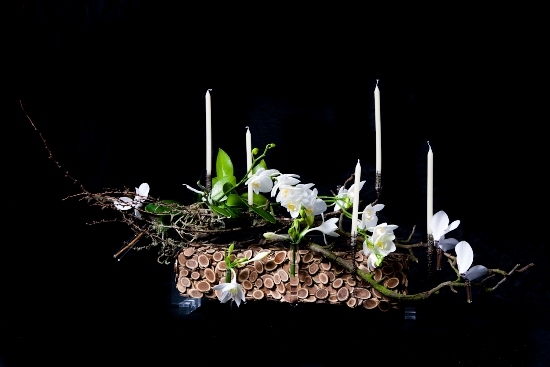 Let's turn to David Ragg and Joe Massie to calm things down with a beautiful soft colour palette, natural materials, and delicate structures. What are you creating this Christmas? We would love to see your work. Why not post your pics on our website? It's good to share!